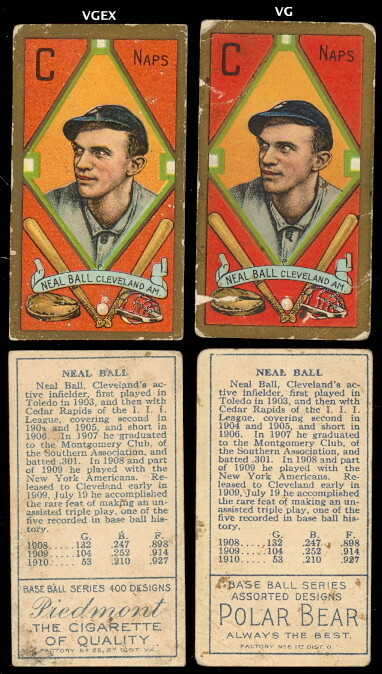 On this date in 1909, Cleveland shortstop Cornelius “Neal” Ball pulled off the first unassisted triple play in modern Major League history against the Boston Red Sox. In the second inning of the first game of a doubleheader against the Boston Red Sox, while playing shortstop, he caught a line drive hit by the Sox’s Amby McConnell. He then stepped on second base to double up Heinie Wagner, and tagged out the Sox runner, Jake Stahl, who was going from 1st to 2nd, thus completing Major League baseball’s very first Unassisted Triple Play. He also recorded 9 putouts in the game at his position, which set a record for shortstops. To date, there has only been 10 more unassisted triples plays in the Major Leagues since his feat. His glove from that game is on exhibit at the Baseball Hall of Fame. In 1907, Ball was signed by the New York Highlanders (Yankees), for whom he played two seasons. 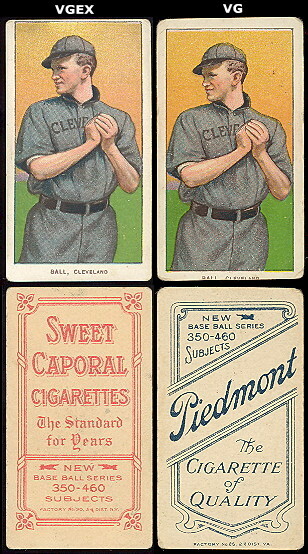 Midway through the 1909 season, he was traded to the Cleveland Naps (Indians). During the 1912 season, he joined the Boston Red Sox, for whom his final game was played June 30, 1913. 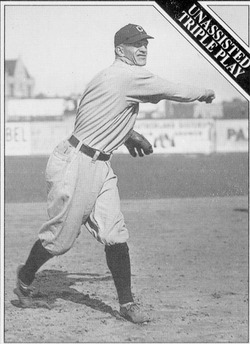 From 1913 to 1923, he was affiliated with 6 minor league baseball teams as a player and manager. Brad didn’t play in the Dodgers win over the Astros on Saturday. Brauny didn’t play in Saturday’s game against the Reds as a result of the sore thumb he received on Friday when he was hit by a pitch from Cincinnati’s Bronson Arroyo in the fifth inning of he Reds’ 4-0 win Friday night. The ball hit Brauny in the left forearm and deflected across his hands, catching his right thumb. X-rays on Saturday found no fracture. 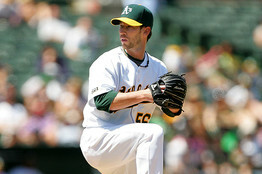 Craig pitched a perfect 8th inning on Saturday against the Angels by striking out the side!!!! Way to go Craig!!!! That stellar effort lowered his ERA to 4.25 and makes 2 clutch relief performances in a row!!! Scott had his three-game winning streak snapped. He gave up three runs, five hits and struck out five over six innings. Although he didn’t pick up the win, that’s now five straight quality starts for Scott, who is 3-1 over those five games. His record fell to 8-3 and his ERA rose to 3.87. John pitched a scoreless eighth inning and earned his 16th hold of the year in the Pirates 2-0 victory over Giants on Saturday. He struck out one batter and lowered his ERA to 3.24. John has earned a Chai 5 and an Iron City Beer for his pitching. Gabe pinch ran for Willie Aybar in the eighth inning of the Rays win over the Royals on Saturday. He came around to score on B.J. Upton’s single and stayed in the game as the right fielder. Ian went 1-for-4 in the Rangers loss to the Twins on Saturday. His average remained at .249. Jason didn’t pitch in the Rockies loss to the Padres on Saturday. Aaron didn’t pitch in the Chisox win over my O’s on Saturday. Scott didn’t in the D-backs win over the Cards on Saturday. Youk went 1-for-4 on Saturday against the Blue Jays and struck out twice. And in a shocking development, he didn’t walk! He lowered his average a point to .299.